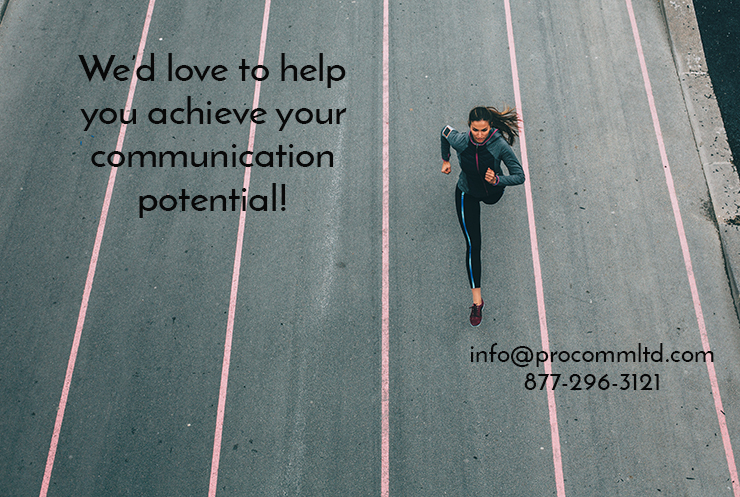 The Power of Your Words - ProComm Ltd.
Inspirational and influential communication happens when we combine a number of different skills that involve both body and mind. Delivery skills like eye contact and pacing, organizing material so it unfolds in a clear and logical way, optimizing the communication environment for the audience, responding to challenging questions – these skills can be learned and honed with a good teacher, professional feedback, and a commitment to practice. Here at ProComm, we love teaching those skills, and hearing about the difference they make in people’s lives. But there is one crucial aspect of communication that requires more than a good teacher and a commitment to practice. It requires an inner commitment to building relationships with your audience – whether that’s an audience of one or thousands. It requires giving thoughtful consideration to the effect your words have on others. It requires paying attention to the words you use. Words have power, and the words you choose don’t just communicate information, but nuances of attitude, emotion, and expectation as well. Even without any non-verbal cues like smiling or frowning, the second sentence, with only two different words, conveys optimism and confidence in the employee that is much more likely to inspire them to change than the first one. Are you conscious of the meaning your voice gives to your words? Do your words inspire? Build up or tear down? Encourage or discourage? 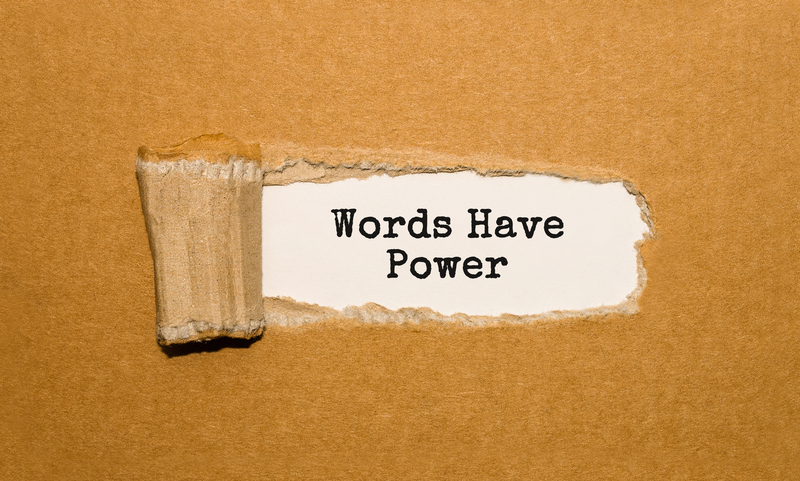 Your words have power – that’s not a motivational truism, that’s science. ”If you were in an fMRI scanner— a huge doughnut-shaped magnet that can take a video of the neural changes happening in your brain— we would record, in less than a second, a substantial increase of activity in your amygdala and the release of dozens of stress-producing hormones and neurotransmitters. These chemicals immediately interrupt the normal functioning of your brain, especially those that are involved with logic, reason, language processing, and communication. We use a lot of words every day, but like a stone thrown in a large lake, we don’t always know how far our words may ripple out. All their effects cannot be foreseen. Too often, we don’t even really think about what we’re saying, just give automatic responses like “Sure, no problem” (“You’re welcome” or “My pleasure” invite a more positive feeling) or “I’m sorry” when you have nothing to be sorry for. Becoming more conscious and aware of how we are communicating is a great place to begin if we want to empower, influence, and inspire people every day. We can ask ourselves honestly whether we leave people with a positive outlook, or enter into negative emotional territory through poorly-chosen words, gossip and criticism that is not constructive. Words build and destroy relationships. Choose them wisely.